Be the first to share your favorite memory, photo or story of Jerome. This memorial page is dedicated for family, friends and future generations to celebrate the life of their loved one. 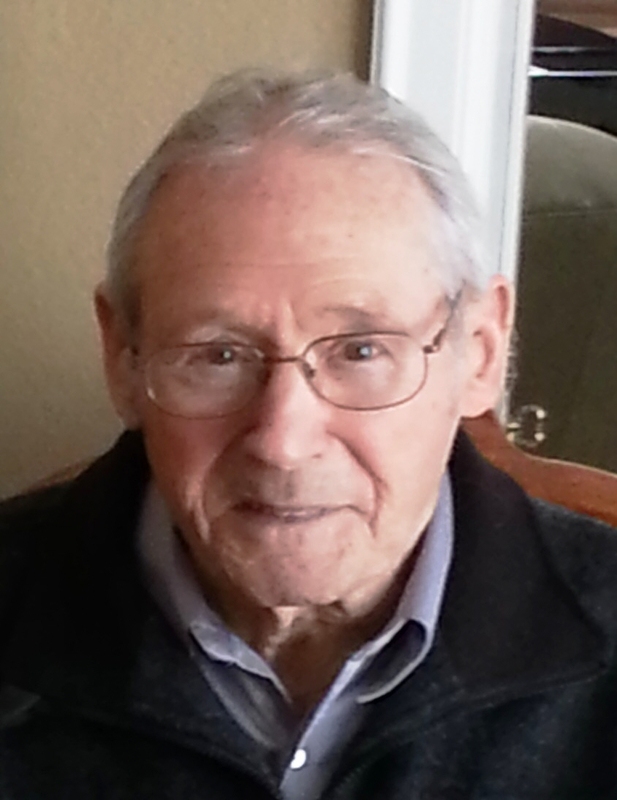 Jerome Bolz, resident of the town of Port Washington, passed away peacefully at home on Wednesday, July 6, 2016. He was 92 years old. Jerry was born on December 15, 1923, son of Joseph Bolz and Eleanor Anhalt Bolz of Farmington, WI. On November 22, 1945, he married Martha Kleckner at St. Mary’s Catholic Church in Port Washington. He was a loving husband, father, grandfather, and great-grandfather. He was an active member of St. Peter of Alcantara Catholic Church (now St. John the XXIII). As a member of the Men’s Club he volunteered for many activities including working in the Fish Day booth for over 40 years. If you attended any of the Lent Fish Fries, you would have seen him frying potato pancakes. He was extremely proud of being selected as the 2014 Parishioner of the Year. Jerry was an avid hunter and fisherman, loved gardening and enjoyed making wine. He looked forward to playing cards with family, sat up until all hours of the night watching the Milwaukee Brewers, and welcomed an occasional trip to Potawatomi. Jerry is survived by three sons: Gary (Mary Sue) of Port Washington, Danny (Sharon) of Random Lake, Ron (Joanne) of Port Washington. Three daughters: Bev Bolz of Belgium, Carolyn (Reed) Wykhuis of Oostburg, and Cathy (Mark) Schowalter of Port Washington. He is further survived by 13 grandchildren: Bryan Bolz, Michelle (Kyle) Clavette, Tim (Courtney), Tami (fiancé Jon Petre), Kimberley (Kevin Eppers), and Kristi Bolz, Peter and Joe Wykhuis, Jacob and Mikayla Schowalter, Rebecca, Ryan (fiancé Kathryn Leathersich), and Natasha Bolz, six great-grandchildren: Madelayne, Ellaoise, Audric, Karly, Harper and Sierra, one brother Frederick (Delores) Bolz of Elkhart Lake, one sister Marion (Art) Fannin of Chilton, two sisters-in-law Eileen Bolz of Thiensville and Aileen Wiltgen of Port Washington, nieces, nephews, other relatives and friends. He is preceded in death by wife Martha, two brothers Frank and Joseph and two sisters Carmen Schmidt and June Arenz. A Mass of Christian Burial will be celebrated on Monday, July 11th at 6 PM at St. John the XXIII Parish - St. Peter of Alcantara Church, 1800 N. Wisconsin St. in Port Washington. Father Don Zerkel will preside over Mass. He will be laid to rest in St. Mary’s Mausoleum in Port Washington. A visitation will be held on Monday, July 11th at the CHURCH from 3-6 PM with a Rosary service starting at 3 PM. In lieu of flowers, memorials suggested to the American Heart Association. The Eernisse Funeral Home, Port Washington, is honored to serve the family. To send flowers or a remembrance gift to the family of Jerome F. Bolz, please visit our Tribute Store. "Email Address" would like to share the life celebration of Jerome F. Bolz. Click on the "link" to go to share a favorite memory or leave a condolence message for the family.